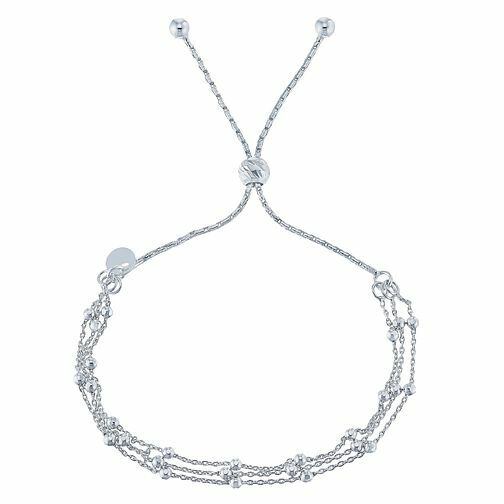 Unique and sophisticated, this beautiful three row sterling silver bracelet is a charming gift for any friend. Features an adjustable fastening. Silver Three Row Beaded Chain Friendship Adjustable Bracelet is rated 4.8 out of 5 by 5. Rated 5 out of 5 by Anonymous from A pretty gift for a friend This bracelet is light and beautiful to have on your wrist. I recently purchased this bracelet to give to my sister on her birthday and she loves it.